The Jaguar XJ is an elegant luxury sedan that embodies the Jaguar legacy of award-winning style and design. Englewood and Saddle River drivers can enjoy XJ features like perforated soft-grain leather seats and an InControl® navigation system while making an imposing statement with a Jaguar XJ black exterior. 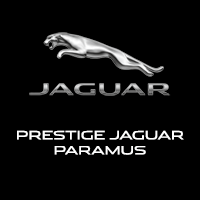 Browse our black XJ models for sale at Jaguar Paramus! When you are ready to experience a timeless black Jaguar in person, schedule a test drive at Jaguar Paramus, and our experts can help you find the right XJ that fits your style.